Immanuel Kant was an 18th-century philosopher from Knigsberg, Prussia (now Kaliningrad, Russia). He's regarded as one of the most influential thinkers of modern Europe & of the late Enlightenment. His most important work is The Critique of Pure Reason, an investigation of reason itself. It encompasses an attack on traditional metaphysics & epistemology, & highlights his own contribution to these areas. Other main works of his maturity are The Critique of Practical Reason, which is about ethics, & The Critique of Judgment, about esthetics & teleology. Pursuing metaphysics involves asking questions about the ultimate nature of reality. Kant suggested that metaphysics can be reformed thru epistemology. He suggested that by understanding the sources & limits of human knowledge we can ask fruitful metaphysical questions. He asked if an object can be known to have certain properties prior to the experience of that object. He concluded that all objects that the mind can think about must conform to its manner of thought. Therefore if the mind can think only in terms of causalitywhich he concluded that it doesthen we can know prior to experiencing them that all objects we experience must either be a cause or an effect. However, it follows from this that it's possible that there are objects of such a nature that the mind cannot think of them, & so the principle of causality, for instance, cannot be applied outside experience: hence we cannot know, for example, whether the world always existed or if it had a cause. So the grand questions of speculative metaphysics are off limits, but the sciences are firmly grounded in laws of the mind. Kant believed himself to be creating a compromise between the empiricists & the rationalists. The empiricists believed that knowledge is acquired thru experience alone, but the rationalists maintained that such knowledge is open to Cartesian doubt and that reason alone provides us with knowledge. Kant argues, however, that using reason without applying it to experience will only lead to illusions, while experience will be purely subjective without first being subsumed under pure reason. Kants thought was very influential in Germany during his lifetime, moving philosophy beyond the debate between the rationalists & empiricists. The philosophers Fichte, Schelling, Hegel and Schopenhauer saw themselves as correcting and expanding Kant's system, thus bringing about various forms of German Idealism. 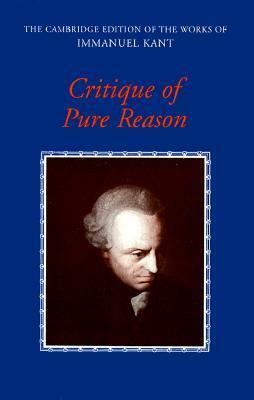 Kant continues to be a major influence on philosophy to this day, influencing both Analytic and Continental philosophy.